As Austin continues to grow and turn heads as a leading meeting and convention destination, 2015 promises to be a big year. Exciting developments include two new 1,000-room hotels, growing nonstop flight options and impressive meeting spaces for groups of all sizes. Opened February 13, 2015, a 1,012-room JW Marriott now boosts downtown Austin&apos;s total room count to more than 7,500. With 110,500 square feet of flexible meeting space within walking distance of the Convention Center, the JW Marriott will be Austin&apos;s largest hotel. Guests will enjoy Marriott Revive® beds with plush linens and pillows, wireless high-speed Internet access and comfortable guest rooms and suites. Taking up residence in the trendy and always vibrant Rainey Street District, Hotel Van Zandt opens July 2015 and will feature 319 rooms and 41 suites. The 16-story Kimpton boutique hotel, will feature 12,000 square feet of meeting space, an onsite gastro lounge, pool deck and exercise facility, along with event space for up to 500 guests. Just one and a half blocks from the Austin Convention Center and a stone&apos;s throw to downtown&apos;s lively Sixth Street entertainment district and eclectic shopping and dining, the Westin Austin Downtown is slated to open in July. The property will feature 20 stories and 366 rooms, a full-service restaurant, fitness center and 15,000 square feet of state-of-the-art meeting and banquet space. Opening its third Texas location (the others are in Dallas and Houston) in 2017, Austin&apos;s Hotel ZaZa will soar with 24 stories of posh boutique accommodations. The West Fourth Street address will boast 215 luxury apartments atop a 160-room hotel. The downtown tower faces Republic Square Park and is well-situated for easy access to numerous neighborhood bars and eateries. Find out more about Austin&apos;s upcoming hotel projects. 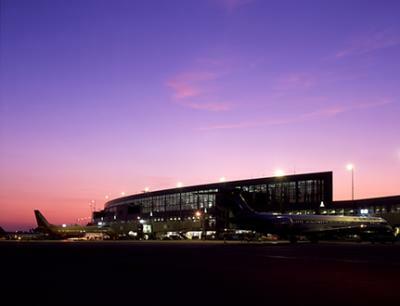 More convenient than ever, Austin-Bergstrom International Airport (ABIA) is making getting to Austin a breeze. Called the "Best Domestic Airport Worldwide," ABIA is just seven miles from downtown and offers more than 45+ nonstop flights daily, including international flights from London, Cancun, San Jose Del Cabo and Toronto. New Texas routes were added last fall, offering flights between Victoria, Austin and Dallas, Texas. In December, Air Canada announced new nonstop service between Austin and Toronto Pearson International Airport beginning May 18, 2015. Tickets are available now from aircanada.com. Big internal improvements are also happening at ABIA this year, including a Terminal East Infill project that will improve passenger flow and a consolidation project that will place all rental car operations into a 1.6-million-square-foot parking complex and provide 900 new parking spaces. A $240-million East terminal gate expansion will accommodate approximately 4 million additional passengers per year for a total of 15 million annual passengers - an increase of 27 percent. The project is slated for completion in 2017. Now for a limited time, you can amplify your next meeting like never before by entering for the chance to win live Austin music! One planner will win an Austin music showcase (up to 5 local acts) for their Austin meeting. Enter by 9/30/2015 for your chance to win.